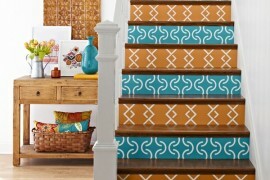 A beautiful staircase can set the style for the rest of your home. 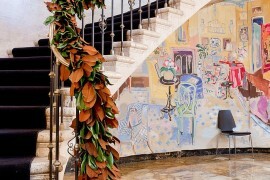 Staircases made of iron fit in well with a French or Mediterranean style, while an all-wooden staircase represents more of a colonial or Cape Cod style. 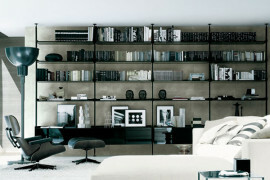 But with so many different materials and colors to choose from, you can have any style you wish. 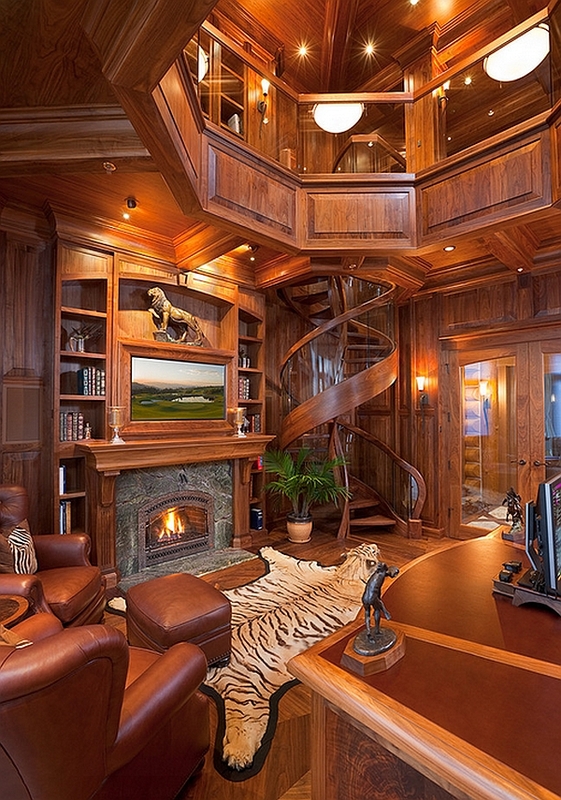 So today, our mission is to inspire you with sixteen incredibly creative staircase designs. 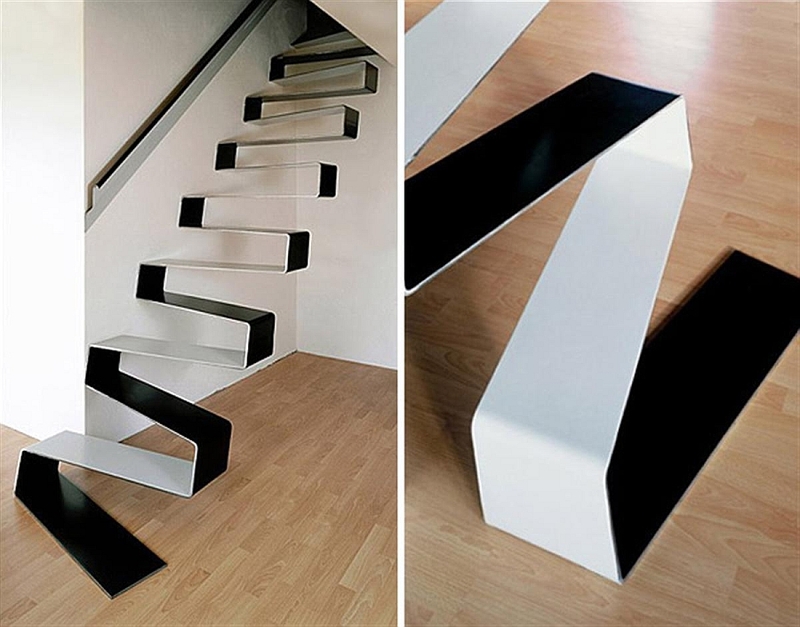 Designed by Ecole, this modern-day staircase will definitely create some chatter by all who witness its design. 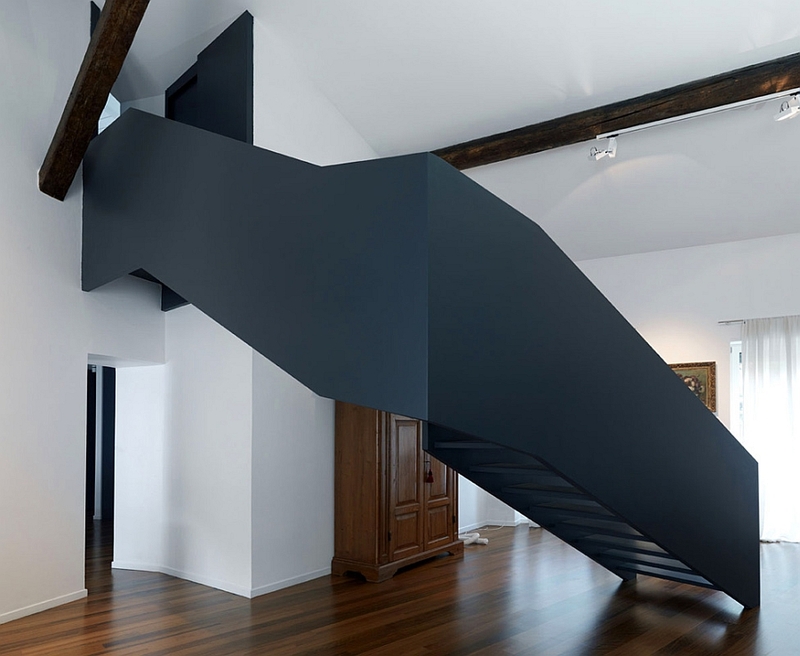 It gives the illusion that the stairs are suspended on air and creates a great contrast between the bright white walls and the rich black color of the staircase. 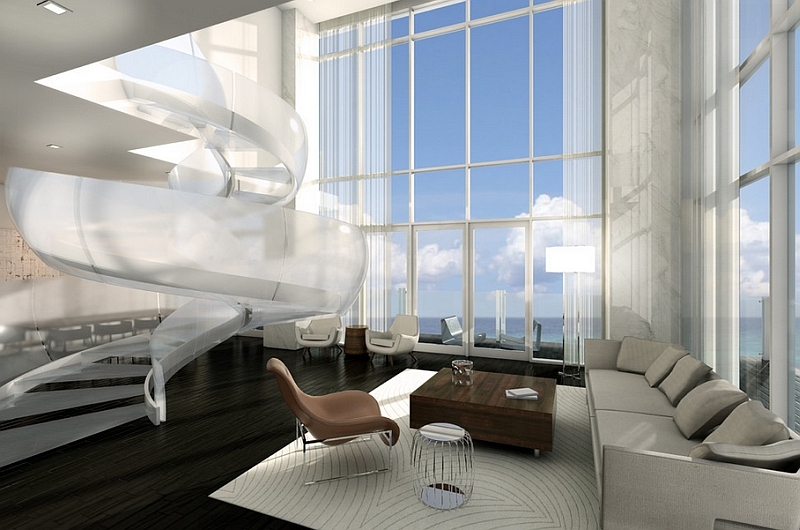 Just imagine balancing yourself atop these shiny, giant ball bearings as you navigate from one floor to the other. 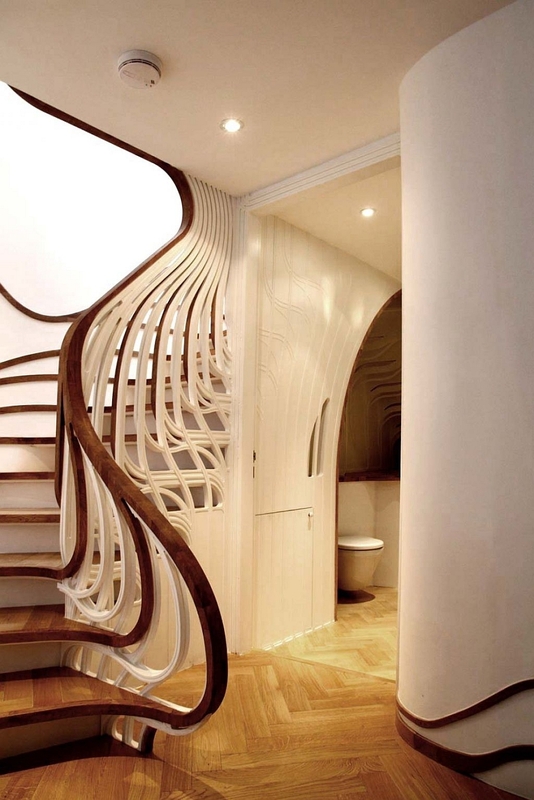 Not for queasy constitutions, this bold staircase designed by Faraone gives you pause before you take your first timid step. 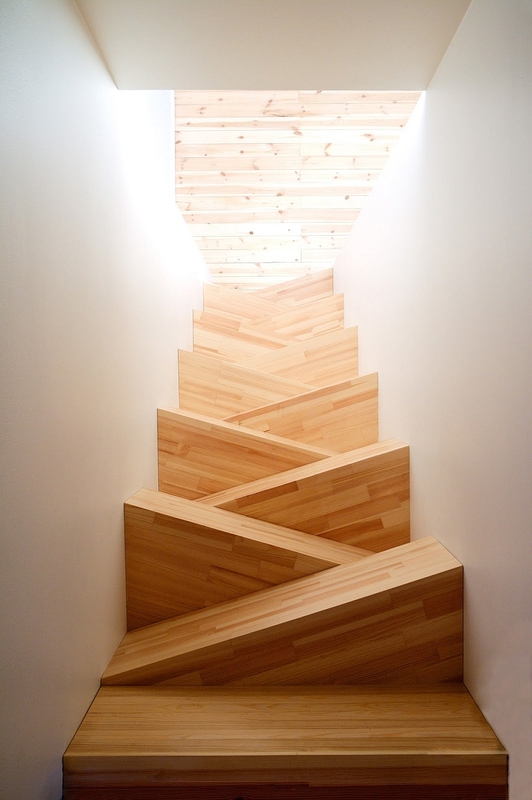 Don’t worry, as this staircase is as solid as a rock. As a young child, I remember a walk along the boardwalk and marveling at a salt water taffy machine pulling and folding a big glob of multicolored taffy. The longer the taffy was stretched, the thinner the lines of vanilla, strawberry, blueberry and lemon became. Designed by Tetrarc, this staircase reminds me of a flavorful mouthful of delicious taffy that has suddenly become bigger than life. 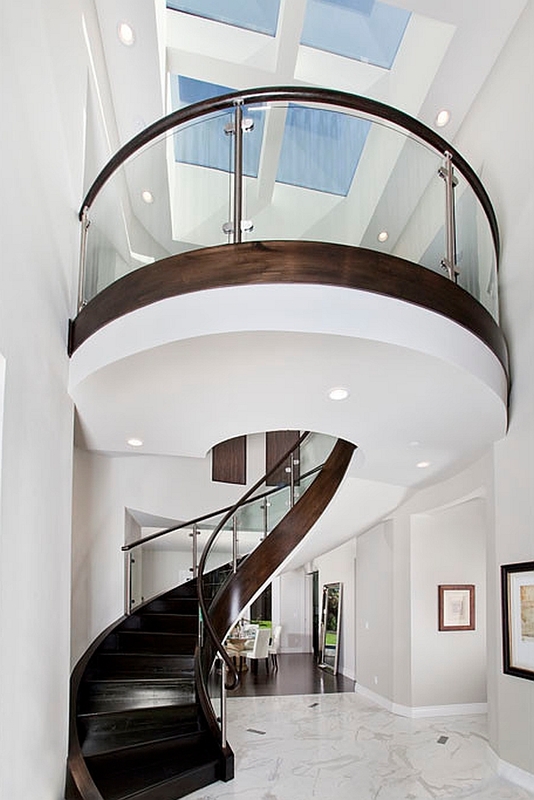 The sleek metal look of these stairs is so cool! 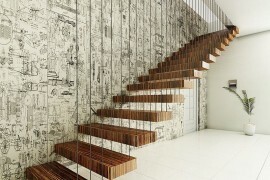 By Hometrenddesign.com, this artful set of stairs just flows as it disappears below the deck’s surface. 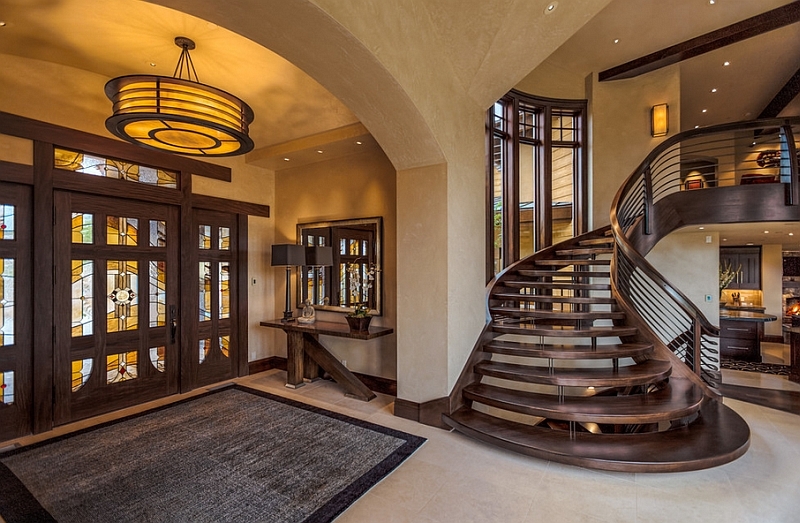 You can really put a spring in your step as you ascend this set of stairs courtesy of HSH Architects. This intrinsic design was influenced by a flowing spiral ribbon effect. 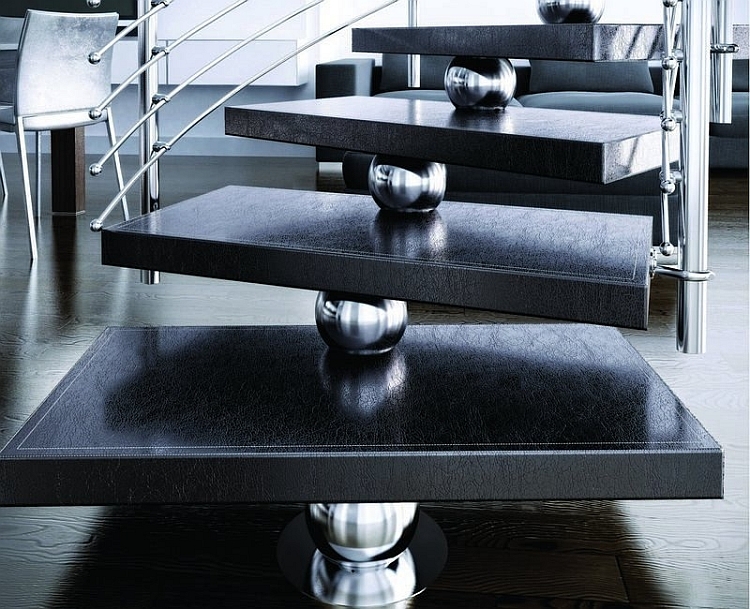 The weight is creatively distributed throughout the lower sets of stairs as you make your way to the top. 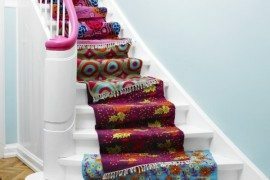 You just imagine a magical fantasy world as your stairs take on a life of their own and start growing. The wood seems to be sprouting flowing branches that form the bannister to guide you to the rooms upstairs. Magic is certainly afoot. Thanks go to Atmos Studio for this design. Speaking of growth and magic, we are pleasantly surprised to see a tree just in from the garden by the sorcerer of the house. 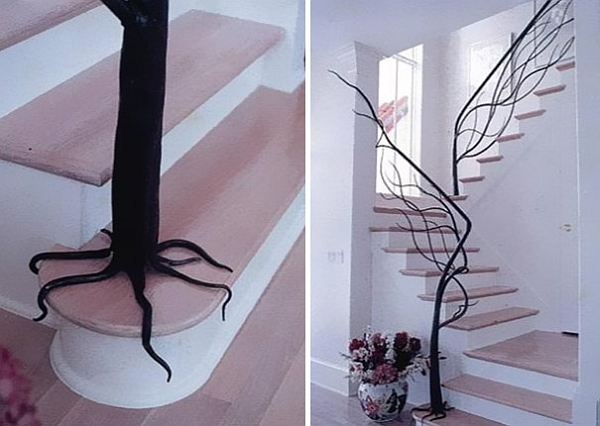 The root system has a firm grip on the bottom step, and the now-bare branches have formed the handrail. The creation of Faba picks up again on the second flight to prevent mortals who cannot fly from falling. Would you believe there are more trees in the offering? Thanks go to the decorating room for inspiring this idea. 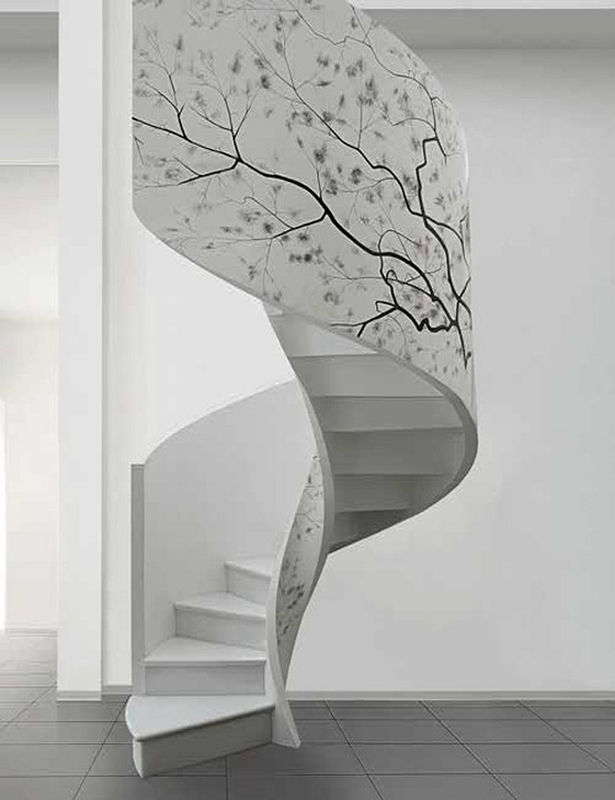 No trees were harmed in the creation of this staircase, as they are represented in artwork adorning the sides. 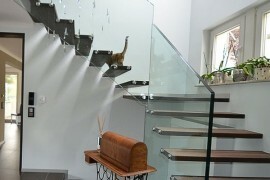 This whimsical set of stairs could possibly challenge the felines of the house. Is there a rule that stairs have to be functional? TAF designs certainly shows a humorous approach for effect. 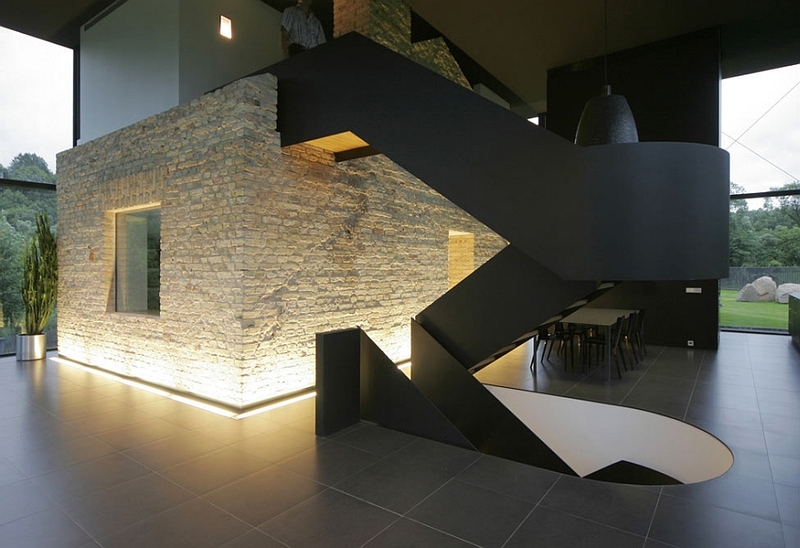 This modern staircase is edgy and appealing to the eye. 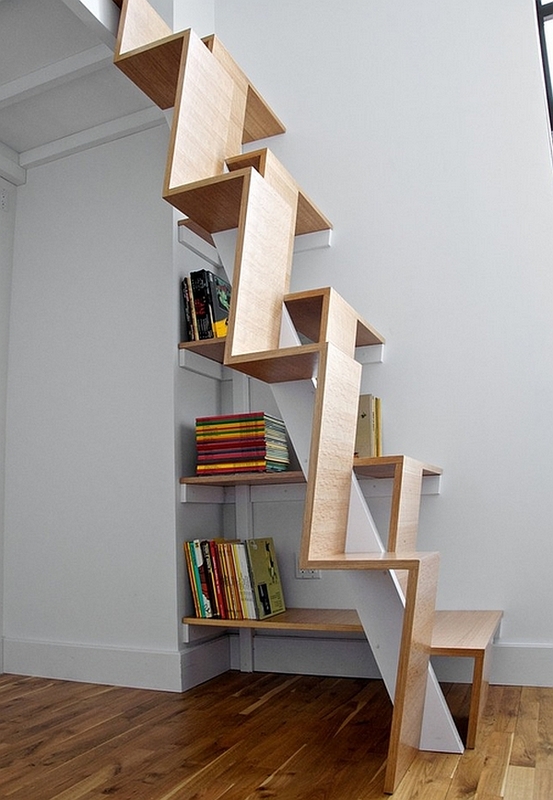 Seen on Home Decorating Ideas, this set of stairs, while a great fit for just about any home, is perfect for a minimalist-designed house. 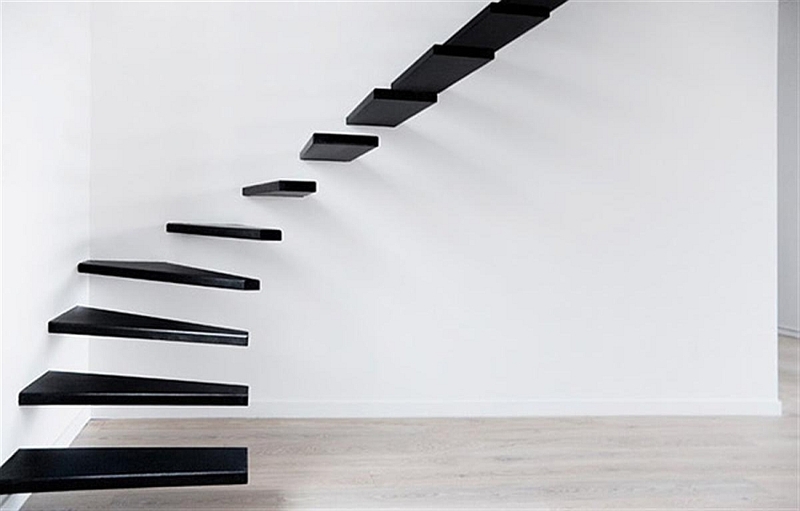 Note that there is no visible support, as the turn of the steps seems to float in midair. 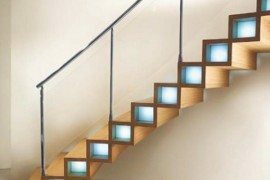 There are so many custom-designed contemporary staircases to choose from, the final decision depends on the style of your home, the color scheme and the materials of choice. 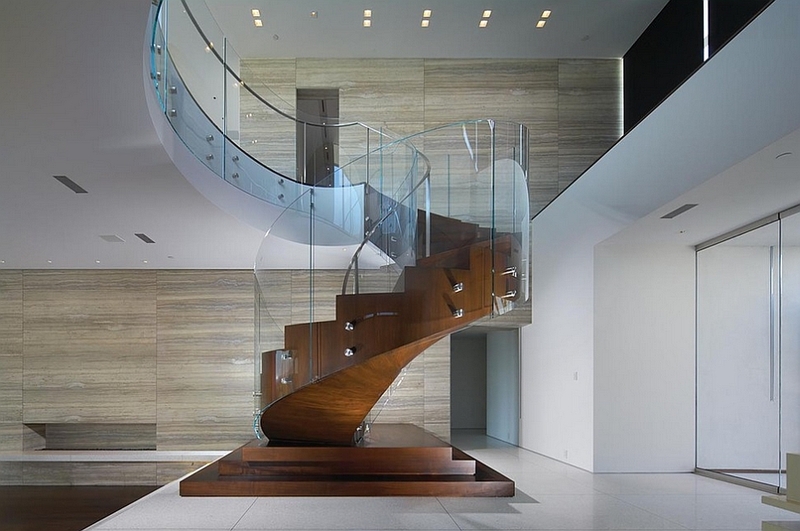 A glassy wonder with floating steps looks more at home in semi-minimal settings, while a staircase in wood with intricate design is apt for traditional and even modern residence. 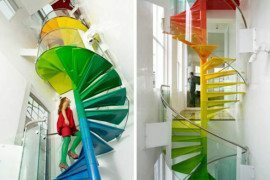 Spiral stairs save on space easily, while glass staircases can leave those scared of heights a touch dizzy.